Coffee lovers, the people who love coffee would be surprised to hear that their most beloved drink can also be considered as a health drink nowadays. Before, coffee is not considered as a health drink because of its high caffeine content. But now, more and more studies show that coffee—in moderation—can be considered as a health drink because of the number of benefits one can enjoy from drinking it. In most workplace settings, a normal person can consume at least four cups of steaming brewed coffee in a day. This is to keep him or her to stay alert and awake in the next hours. In most countries, coffee is considered as a staple drink. In fact, all over the world, people have their specialty coffee from beans that only grow and found in that part of the globe. Nowadays, a lot of people are getting more and more apprehensive about what they are actually buying and how it is grown or made especially their coffees. 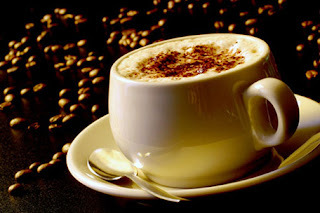 One of the most noticeable trends is coffee now is organic coffee. This type of coffee very much similar to regularly grown coffee, the only difference is the method by which the farmer grew the coffee. The process does not include pesticide, chemicals, and other substances except the ones found in nature were used to grow the coffee beans. This kind of coffee is untouched by the ravaging effects of chemical used to kill pests that's why some people believe it has therapeutic properties. Today, coffee—whether its organic or not—is considered by many people as a health drink because it is believed to contain more antioxidants in one typical serving compared to that of other juices such as grapes, oranges, and raspberries blueberries. In fact, more and more dieticians agree that coffee can be a good alternative for commercial health drinks because it can bring benefits that can be good for a person's overall health. Here's a list of what coffee—as a health drink—can do for the coffee lovers out there. 1. Excellent source of anti-oxidant. A cup of coffee is believed to be loaded with tannin and antioxidants that are beneficial in keeping diseases away and can help achieve a healthier skin. Certain properties of coffee are believed to help control the cell damage which leads to the development of certain diseases. 2. Good for the cardiovascular system. Experts agree that coffee contain properties that are good for the heart and its arteries. It also helps improve the circulation of blood within the person's heart. 3. An alternative headache and asthma reliever. People who consume enough amount of caffeine are known to reduce risks of possible asthma attacks because the caffeine is believed to be a good pain buster. 4. Promotes healthy liver. Aside from reducing the risk of several serious cardiovascular illnesses, coffee is believed to bring about healthy benefits to the liver especially those who have cirrhosis and gallstones. 5. Controls sugar levels among diabetics. Coffee is known to be a good source of "chlorogenic acid," that are proven to reduce large amounts of glucose concentrations in the blood. People who are prone to diabetes can consume larger quantities of coffee because it greatly helps in the prevention of diabetes. 6. It can boost to athleticism. As a health drink, drinking coffee can be a good way to boost one's athleticism because of its high caffeine content. Experts agree that caffeine can enhance the athletic endurance and performance of an athlete, what more in an ordinary person?